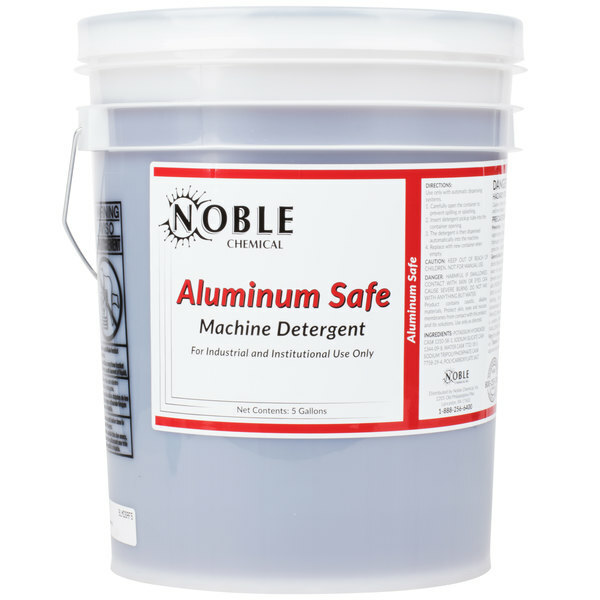 Clean your dishes with this Noble Chemical Metal Safe dish washing liquid. This low suds dish washing liquid effectively removes hardened food particles to give your dishes a clean and bright shine. Its unique formula is aluminum-safe giving you the freedom to clean a wide variety of dishes in one cycle, saving you time and water to make your warewashing system more efficient. For use with an automatic dispensing system, this detergent should be mixed with water in either a hot water sanitizing machine or a low temperature, chemical sanitizing dish machine.